We are now firmly in the second half of the year and it’s time for our round-up on all things that have happened in July. As always, it’s been another busy month which has included some great coverage for our clients as well as some exciting business meetings. In celebration of one of the most prestigious tennis tournaments in the world returning to the All England Lawn Tennis Club, Tom’s Kitchen served up a tennis truffle dessert which was available until the grand final. The dessert consisted of a white chocolate tennis ball, fresh strawberries and Chantilly cream and the Sunday Mercury stopped by to feature the indulgent tennis themed dessert. Lunchtimes are always better when complimentary food is on offer and we visited CBRE on Temple Row with the Tom’s Kitchen team. We organised a pop-up in their offices where the CBRE staff were treated to delicious tasters from the menu including homemade red pepper hummous, zesty ricotta, crispy pork skin with smoked apple puree alongside freshly baked cookies and brownies. This experiential activity was great to create awareness for the restaurant, encourage word of mouth and build relationships with the company. Home Furnishings at the Mailbox is home to some of the industry’s best known interiors brands including Heal’s and MADE, making it the perfect location for an interiors blogger networking event. As part of the Mailbox, we were able to support the meet-up which saw influencers and bloggers around the country arrive on Level One. The bloggers were provided with refreshments from Tom’s Kitchen followed by introductory talks (and goodie bags!) from each of the brands. July has seen us win a new client adding property to our strong client portfolio. 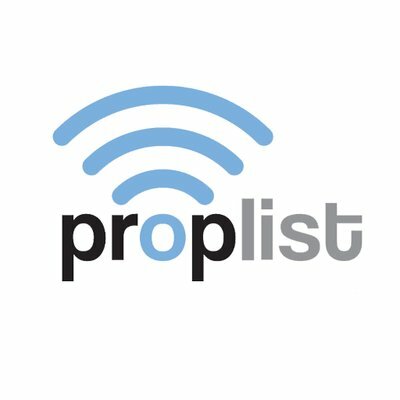 We are thrilled to be working with Proplist, a specialist commercial property portal. We’ll be delivering social media and website content for the national brand, as well as communicating team updates, company growth and client wins with the media. As part of our team away day we joined the Buddy Bag Brigade for an afternoon, packing backpacks for our chosen charity this year, The Buddy Bag Foundation. It was great for team-building but it was also important for us to see first-hand, what was happening with the money we have raised so far. It was incredibly moving packing the bags that would all be going to 180 vulnerable children of all ages. Find out more about our day with the Buddy Bag Brigade in this post. Following our volunteering, we arrived in Digbeth to play Ghetto Golf. It was an evening full of laughs, which saw the team play crazy golf on board a graffitied bus, a spooky Blockbusters and a bowling alley!